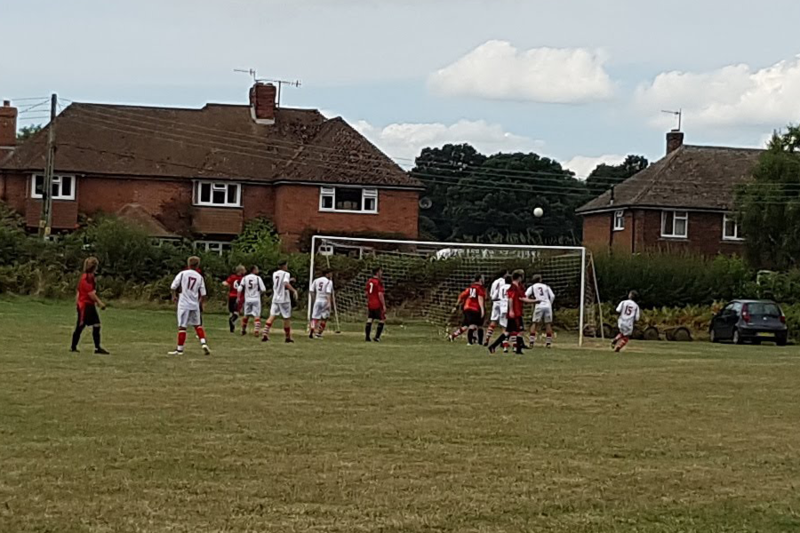 Mountfield hosted the chopbacks yesterday in what was a sizzling Saturday afternoon, the two teams had met here last year in an 11 goal thriller and the spectators were hoping for the same today. 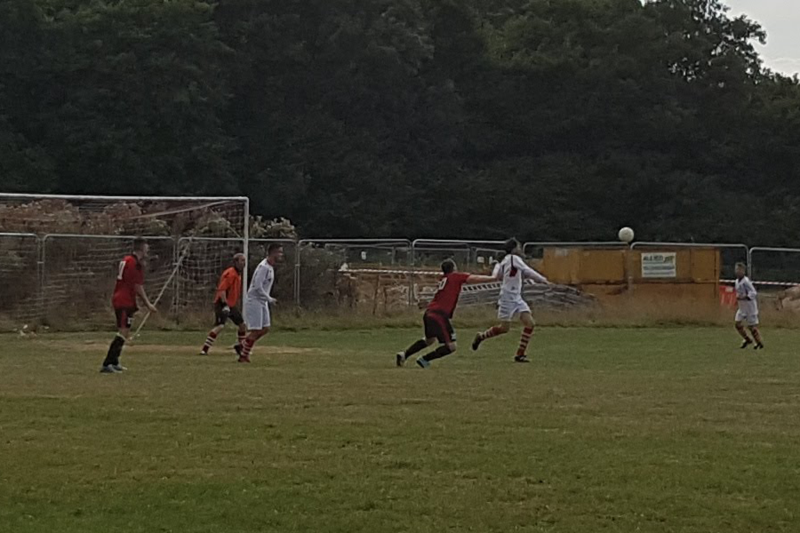 To say the chopbacks got off to the better start would be an understatement, with 34 seconds on the clock a neatly crafted move allowed Connor Easton through on goal but an uncharacteristic finish from the front man allowed the keeper to make the save but fail to catch the ball, Luke Darvill was quickest to the rebound and South Coast found themselves a goal up. 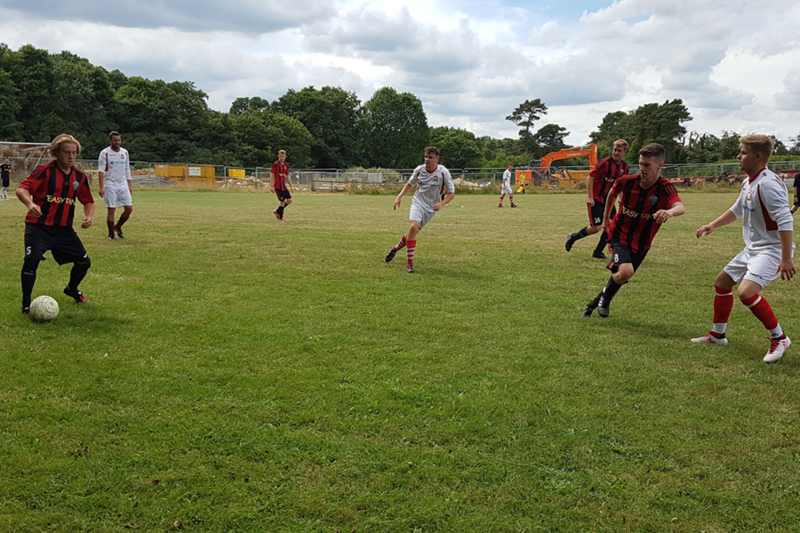 Mountfield were quick to retaliate and launched several attacks down the left wing looking to find a way through what is becoming a stubborn back line for the Chopbacks but to no avail. 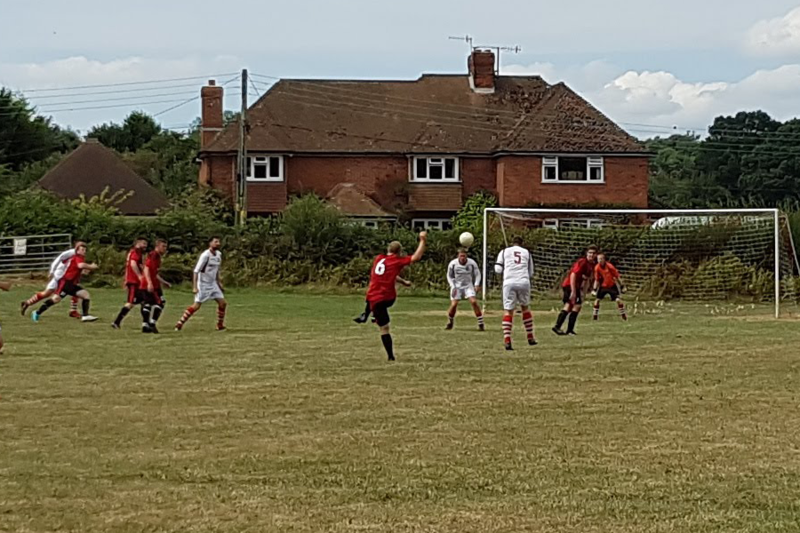 On the 20 minute mark the breakthrough came and Mountfield drew level via a free kick cleared to the edge of the box was driven back in low and hard, firing into the far corner as South Coast keeper Ben Tate was helpless to do anything. 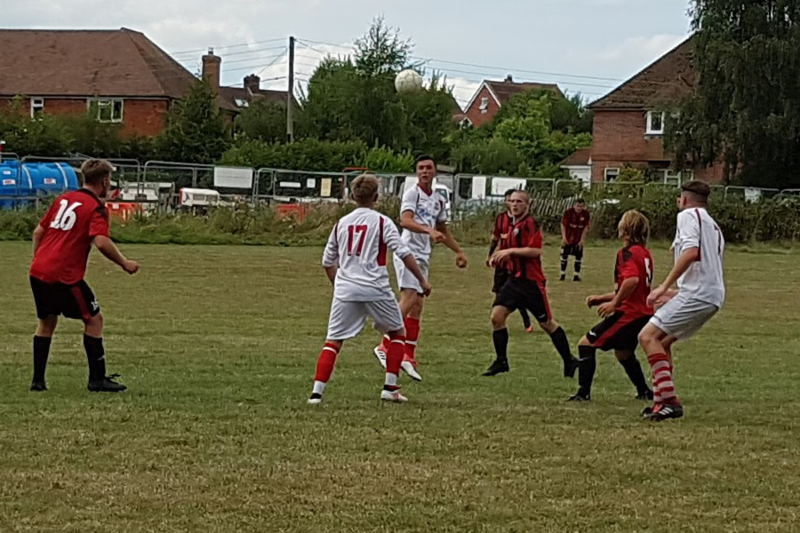 Back to square one and the teams were ready to go again, the difference in styles was clear and great to see, Mountfield used their taller players to win aerial battles and pick up the second ball, where as South Coast tried to launch quick attacks direct to the wings. South Coast’s style paid off first as Connor Easton outmuscled the Mountfield full back, bearing down on goal he selflessly rolled the ball across the face of goal and there was Luke Darvill again to tap home his and the Chopbacks second into an empty goal, 25 minutes played and it was 2-1 to the Chopbacks. The game had come alive in the first 30 minutes and we were on our way to another thriller of a fixture. 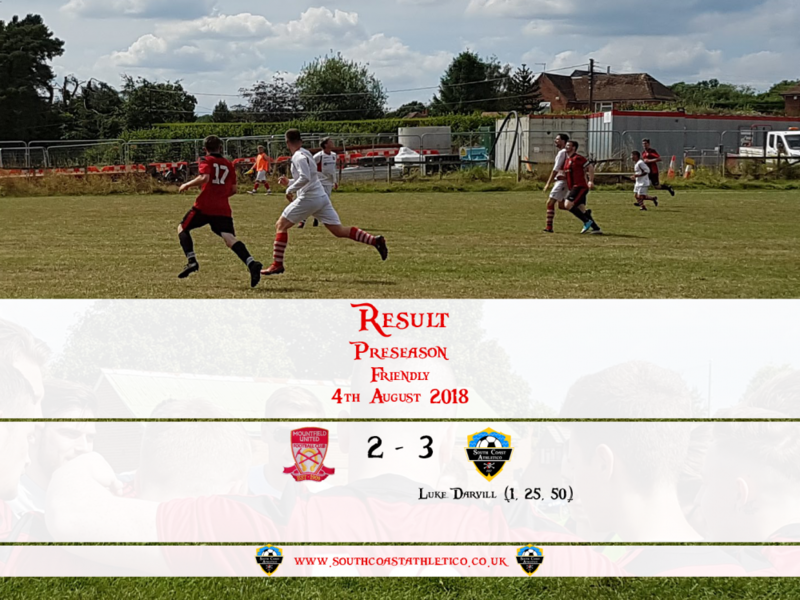 The two teams shared numerous attacks but none came to fruition, the heat was taking its toll on the two sides and the game slowed down as we reached towards half time. Half chances created but nothing to excite the fans, the ref blew his whistle and the two teams got themselves a well earned water break. 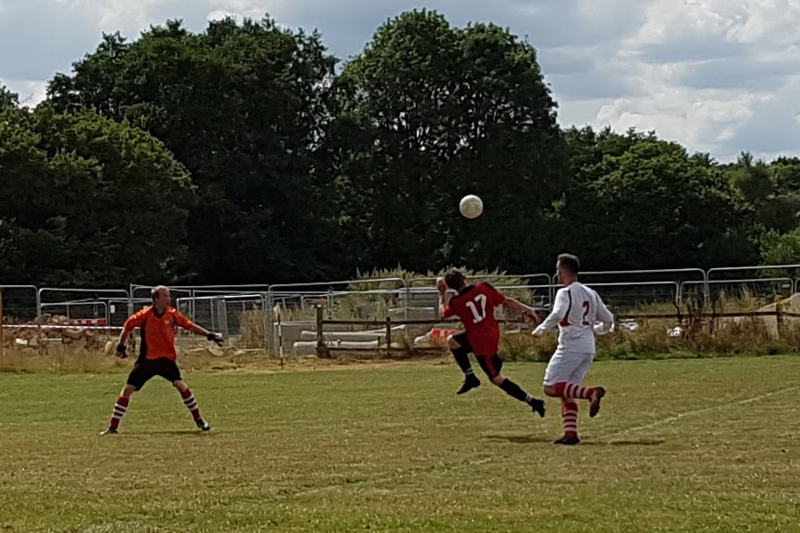 Five minutes into the second half Luke Darvill rounded off his goal scoring with a well taken finish, a long ball over the top left to bounce by the Mountfield centre half allowed Darvill to race through and lob the keeper using his head. It was 3-1 and with the extra training and games under their belt, South Coast could see a huge win in the distance. Mountfield weren’t going to let them have it all their own way and less then ten minutes later they’d pulled one back. 3-2 with 30 minutes to go. 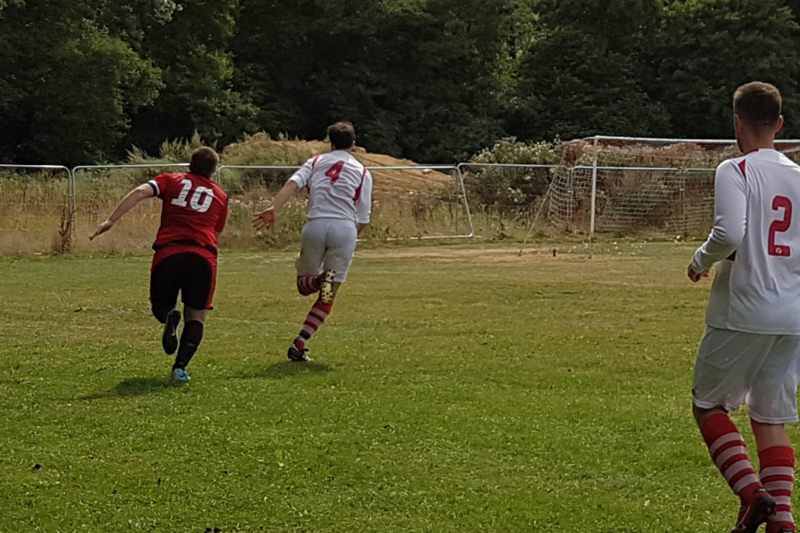 Ben Tate came close to scoring a wonder goal from 60 yards as his pass was fumbled by the keeper, luckily bouncing wide. Loose passing came into effect and tired legs began to show. 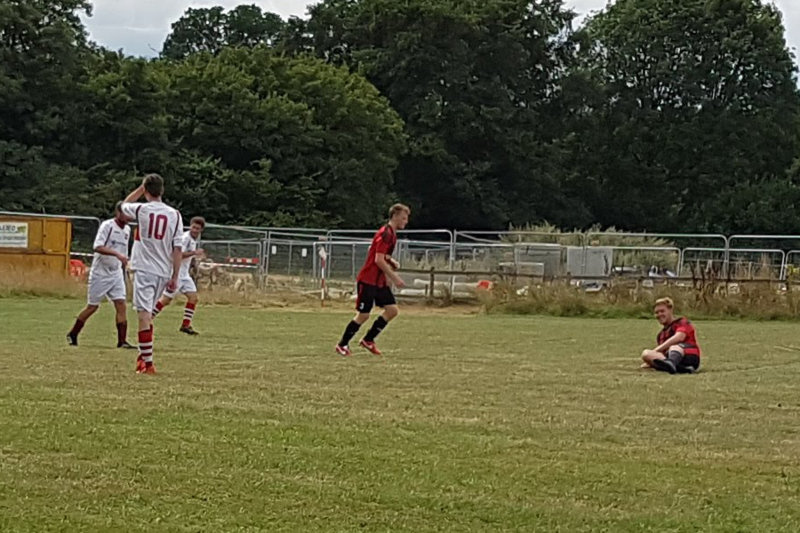 Mountfield pressed for an equaliser but it wouldn’t come, 90 minutes played out and the final whistle was blown. 3-2 is hardly the 5-6 we saw last year but both teams were just grateful to get out of the sun and get some water in them. A Division One scalp taken after an impressive draw against Division One Punnetts Town last weekend leaves the Chopbacks fearing nobody.